Add a Latin Twist to Your Next Holiday Party with Cocina! ¡Feliz Navidad! Add a Latin spin to your next dinner party with these vibrant recipes from Cocina, the first online food destination dedicated to celebrating the Latin lifestyle through its vast culinary culture and libations. You’ll impress all of your dinner party guests with these beautiful treats and mouthwatering recipes. ‘Tis the season for spreading cheer and sharing recipes. We’ve included some of our holiday favorites below and you can find more at www.wearecocina.com! It’s almost too cute to eat! Learn how to make this fun and delicious snowman cake using regular chocolate cake mix and ground Mexican chocolate. 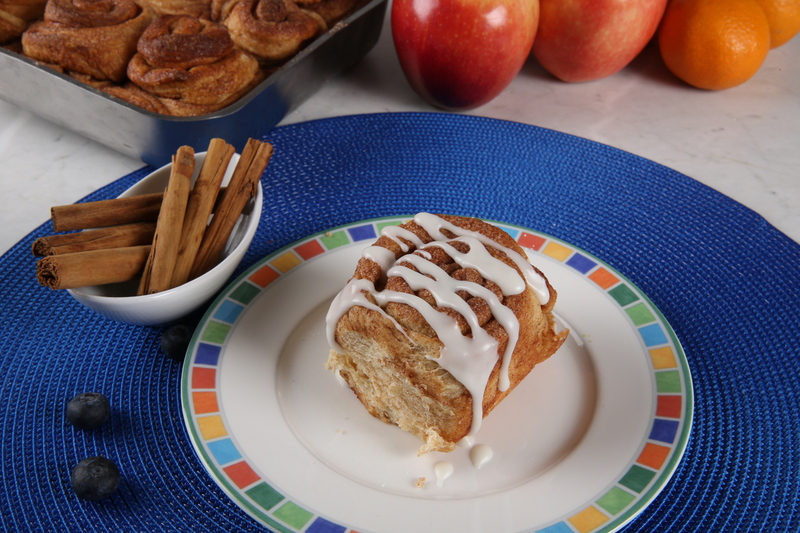 A fun twist to a classic treat. Learn how to make four different kinds of empanadas for this holiday season, because who doesn’t love an empanada? The perfect dish to curl up with on those cold wintry days. Make this delicious and traditional ‘cuchuco’ this holiday season, a classic staple from central Colombia. A refreshing and easy cocktail for any holiday party, take a sip and kiss under the mistletoe! We LOVE food and we are incredibly excited to bring you even more amazing recipes, riveting stories from Latin countries and culture, and highlight local chefs and personalities with contrasting backgrounds. Be sure to check out https://wearecocina.com/ for a year-round celebration of all things Latin-flavored, so pull up a chair, relax, and get ready for the first bite—the food is on us. Follow Cocina on Facebook and Instagram! The secret to losing weight and maintaining a toned, healthy body is not what you think. The diet industry has spent decades trying to convince us that control is everything, but we’re starting to understand why this might not be true. More important than what you don’t eat is what you do consume, so sticking to tough, calorie deficit diet plans is an uphill struggle. The healthiest, happiest people are not on diets. They don’t obsessively monitor everything that passes their lips because picking the right foods comes naturally to them. They have trained their brain to love the good stuff, so eating well is never a chore. And with so many amazing recipes out there, can you blame them? Keep reading for a peek at some of the tasty, super nutritious meals that you should be enjoying on a regular basis. It takes just ten minutes to prepare a delicious bone healthy mango chia pudding recipe. All you need is a handful of chia seeds, a little milk, a cup of fresh mango, and a teaspoon of vanilla extract. The ingredients (minus the mango) are placed in a jar and shaken vigorously. Then, you leave the jar in the fridge for an hour and voila, you’ve got a beautiful, healthy pudding which is fantastic for the bones, heart, joints, and cells. If you can’t get enough of brunch recipes, but need to keep your choices nutritious, eggs are a wonderful choice. They are filled with healthy fats and protein, so they are a great way to start the day. Plus, leafy vegetables like broccoli are rich in calcium and vitamin D as well. 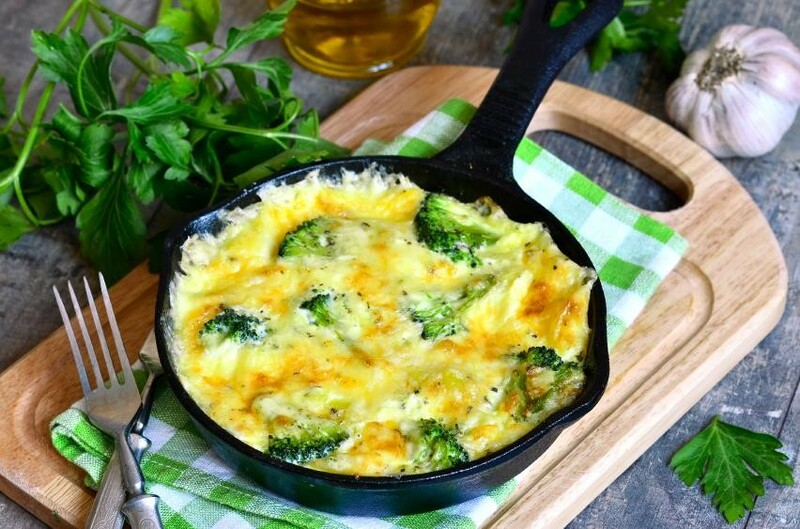 Just make sure that you use minimal oil when cooking your omelette. The best option is one of those low-calorie spray oils. Carbs tend to get a bad rep, but it’s really just the white, processed options which you should avoid. So, stick with whole grain rice, pasta, and bread for maximum nutrition. Middle Eastern rice and salad dishes, for instance, ditch the heavy white rice in favour of a brown alternative or they use chickpeas, couscous, and quinoa. In fact, chickpeas are an incredible health food, because they contain minimal calories, but they are packed with protein and fibre. Often, thin soups taste great, but they can leave you craving a more filling snack. This is tricky because the last thing that you want to do is dive into creamier, fattier recipes. Plus, canned supermarket products are some of the worst offenders. They are filled with sugar and salt, so do try to make your own if you’re a soup fan. Lentils are tremendously filling and they taste amazing when added to carrots, celery, onion, garlic, and oregano. Mincemeat is not a great choice when you’re trying to cook healthy meals because it contains a lot of fat. If you are going to eat meat, you should stick with whole, lean cuts, as opposed to processed products. Swap out the mince for beans when you make your next chilli and you’ll be amazed at how tasty and filling it can be. You can use whatever beans you want; kidney, black, butter, pinto, haricot. Bring them all together in a bubbling pot of tomatoes, paprika, cumin, garlic, and chilli powder. Everything starts and ends with the food that we put into our bodies. It affects our mood, energy levels, happiness, resilience, and ability to deal with daily challenges. So, there is no excuse for not paying attention to the quality of your physical fuel. With just a few small changes, you can transform your diet and become a healthier, happier individual. So many of us want to start eating healthier, but we just don’t know where to start. There are countless books and articles out there about the latest diet trends and research, it’s sometime hard to know what is the best. Even when we try to prepare better, healthier food, the task becomes too much and we go back to our old ways of fast food and unhealthy grab-n-go meals. But now, Ionutrition is taking the guesswork and struggle out of giving your body the best fuel it can get. Made fresh from 100% natural and organic ingredients, meals are delivered fresh right to your door. The delicious meals have NO preservatives, additives, dairy, gluten, GMOs, hormones, added sugar or soy and are very easy to prepare at home or eat on the go. Choosing to eat healthy has never been easier! My meals came in an insulated box delivered right to my door. I just unpacked the items and placed them in the refrigerator until we were ready to eat them. I was surprised by the wide variety of meals and even snacks – from fiery squash frittata to blueberry white peach oatmeal to complete chicken, steak, and even salmon meals with sides. My kids really enjoyed the breakfast oatmeal, hearty granola, and coconut almond butter cups. 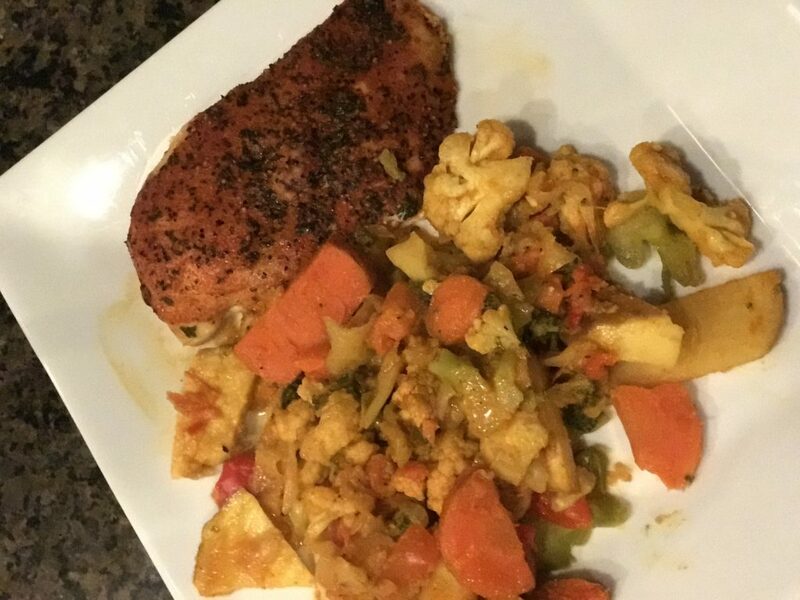 The Moroccan salmon with veggies was delicious and my husband really liked the pepper beef and broccoli. 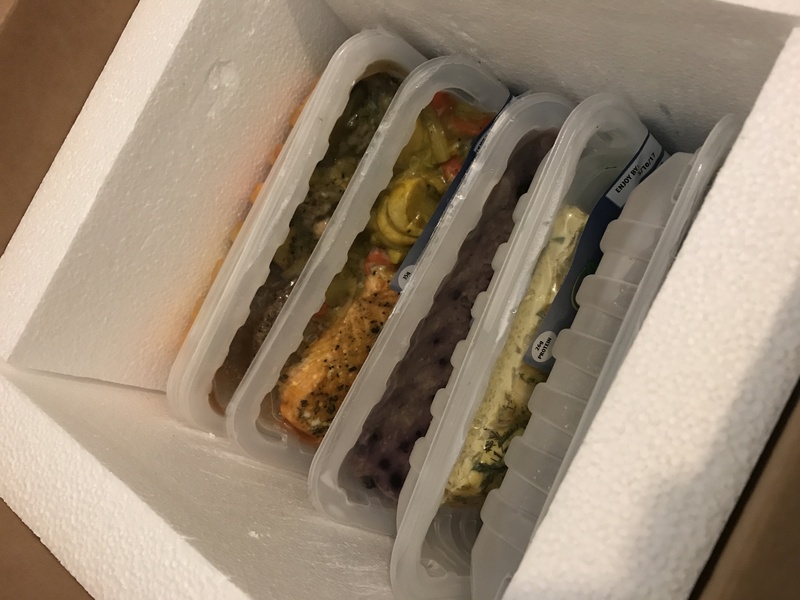 Preparing the meals could not be any easier – just poke a few holes in the plastic wrapper and heat in the microwave for a few minutes and they are ready to eat! Ordering is easy – just pick a meal plan or order a la carte. There are original, Paleo, protein, and even vegetarian meals to choose from – all are fresh, healthy, and delicious and delivered right to your door. The Ionutrition website is very easy to navigate, complete with pictures of all the meals and snacks so you know exactly what you’re getting. You can even order bulk meals and sides large enough to feed a family. 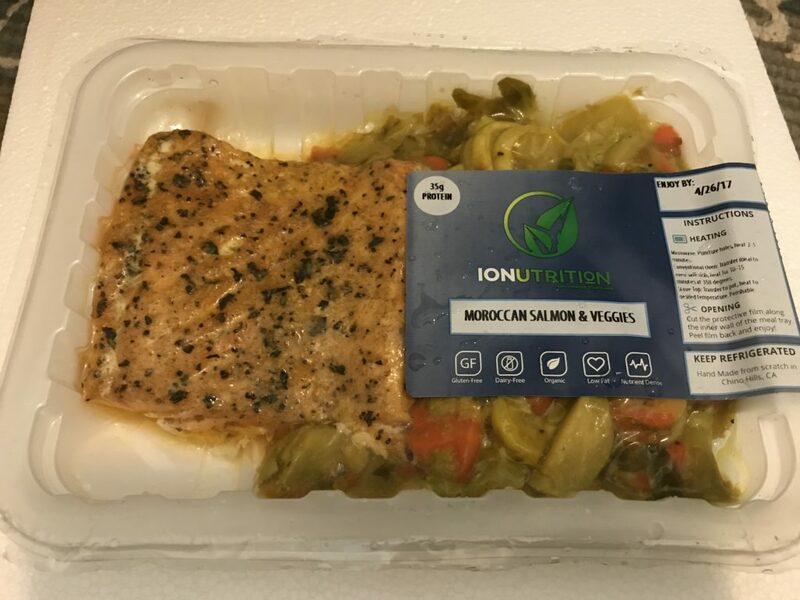 So if you and your family are on a mission to eat healthier or you’re already there and just looking for easy, convenient, delicious and nutritious meals, I would definitely recommend checking out www.ionutrition.com. You’ll find a wide variety of healthy meals, snacks, and sides, delivered right to your door, ready to eat in just a few short minutes. *I received meals in exchange for this review. All opinions are my own. My name is Heather Little and my husband and I have two sweet girls and one crazy dog. We moved to Florida 6 years ago and have loved every minute of it! I enjoy crafting, good food, shopping, and of course travel! I tested out Walmart’s Online Grocery service mentioned in this post, and received grocery shopping funds from Walmart in order to do so. This past Christmas I did most of my shopping online. I loved not having to go to the store and fight the crowds. Even when the stores are not crowed I enjoy shopping from home. That’s why I love shopping at Walmart. They have the best prices around and if they don’t you can get it back on their Savings Catcher app. I was asked to give the Walmart Grocery Shopping a try, so I did. 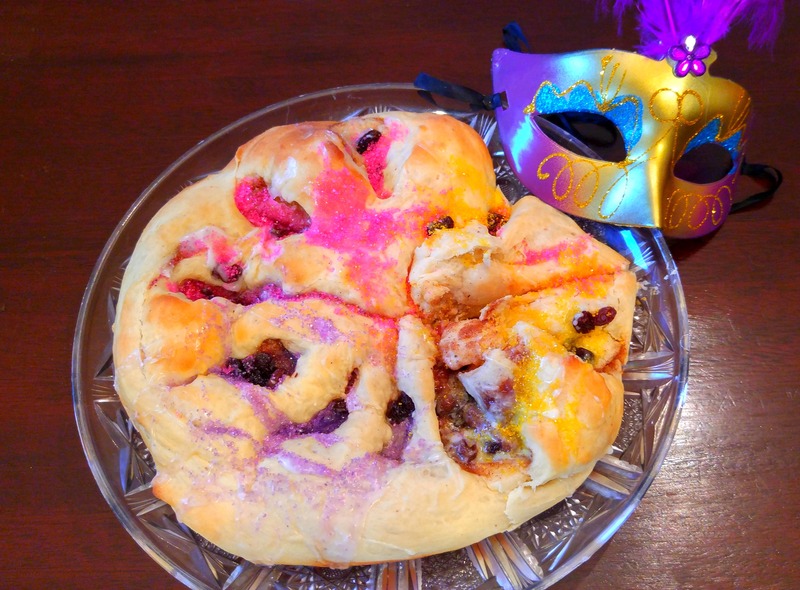 I wanted to make a Mardi Gras King Cake for Mardi Gras. I found the recipe on All Recipes. But I needed a few items from the store. I needed dry active yeast and raisins. But I also needed a few other items; toilet paper, Clorox wipes and batteries. Shopping on Walmart.com is super easy. To order groceries to pick up just go to Walmart.com and then schedule your pick up! Super easy. You can also order and have it shipped to your home in 2 days with free shipping! There is a minium for the free delivery but it beats going to the store. So I ordered my items and was told they would be ready Friday February 24th. I went on Saturday the 25th and there they were, all ready for me to pick up. 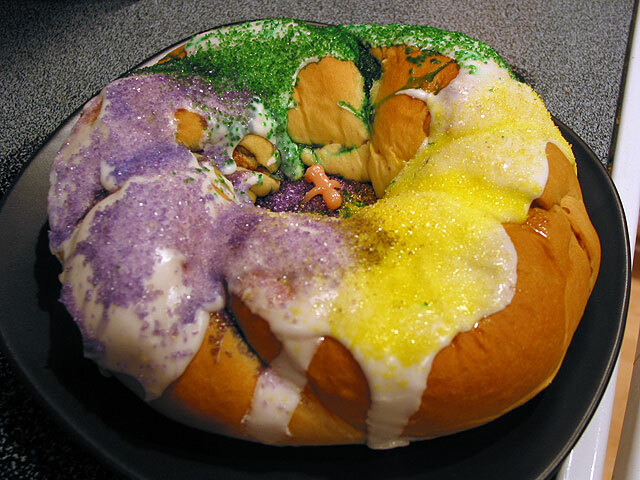 I then came home to make my Mardi Gras King Cake. Scald milk, remove from heat and stir in ¼ cup of butter. Allow mixture to cool to room temperature. In a large bowl, dissolve yeast in the warm water with 1 tablespoon of the white sugar. Let stand until creamy, about 10 minutes. To Make Filling: Combine the brown sugar, ground cinnamon, chopped pecans, ½ cup flour and ½ cup raisins. 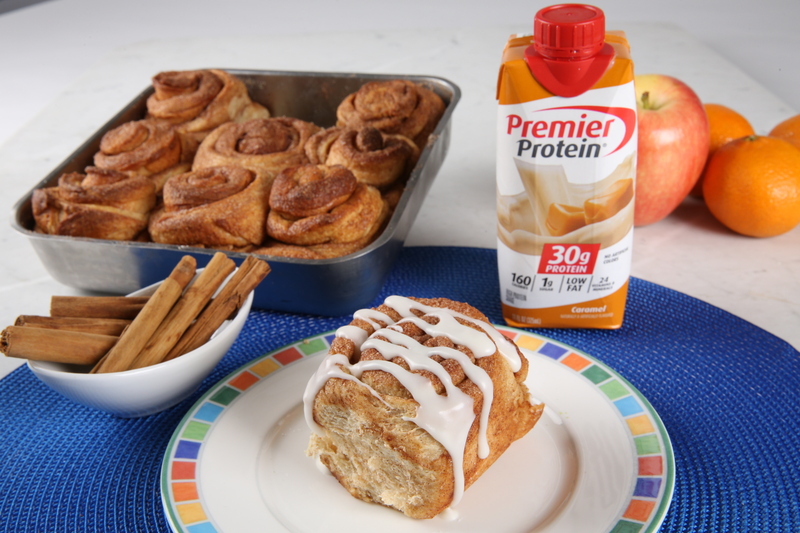 Pour ½ cup melted butter over the cinnamon mixture and mix until crumbly. Roll dough halves out into large rectangles (approximately 10x16 inches or so). Sprinkle the filling evenly over the dough and roll up each half tightly like a jelly roll, beginning at the wide side. Bring the ends of each roll together to form 2 oval shaped rings. Place each ring on a prepared cookie sheet. With scissors make cuts ⅓ of the way through the rings at 1 inch intervals. Let rise in a warm spot until doubled in size, about 45 minutes.